Usually, we think of stress in terms of business meetings and deadlines, exams and problems with family life - the list is endless. But actually, stress can also come from a whole range of physical factors too. This can include a food intolerance, digestive issues, under-eating; low micro-nutrients and even things like not enough sleep, dehydration, and low blood sugar. All stress, whether physical or psychological, produces the stress hormone known as cortisol. The body doesn’t differentiate between what causes the stress – it all ends up with the release of cortisol. Before we malign cortisol, let us just say that it is a natural physical hormone that your body is supposed to produce. Issues only begin to arise when this hormone becomes chronically elevated – above normal levels, for extended periods of time. Cortisol is one of your primary ‘fight or flight’ hormones. In nature, stress tends to be a lion about to chase you, rather than the stress of a big meeting coming up. It does a number of things to the body to help you get ready to turn and run or stand and fight. It raises blood sugar, providing plenty of energy ready to get moving towards or away from the threat. At the same time, it depresses your immune and reproductive systems. It also breaks down protein, usually from muscle tissue, to make amino acids available for the synthesis of energy and the development of new protein structures in the future (once you are no longer stressed). 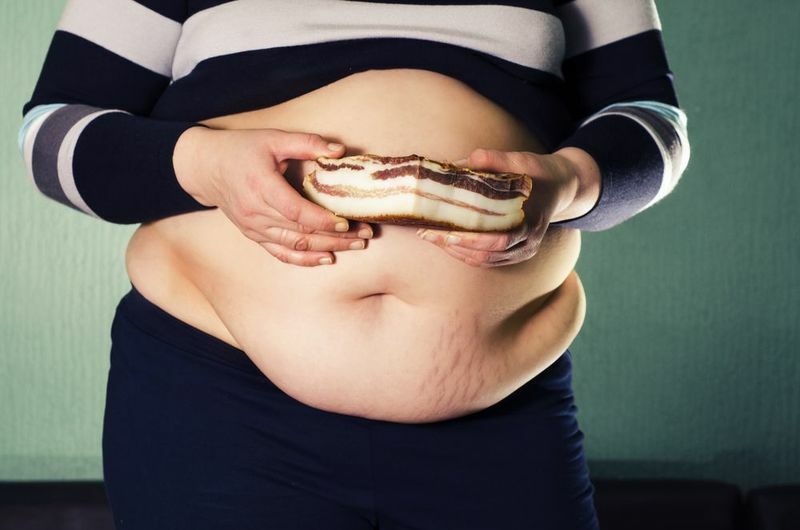 Why could it make you fat? Short term, cortisol is great for helping you deal with immediately stressful situations. But our lives are now full of more stressful situations than evolution ever intended us to deal with. If you spend your time blasting from one meeting to the next, or stuck in traffic on the school run, having spent an hour getting the kids mobilised, you’ll know what we mean. It’s constant in our everyday lives. Now build on top of that all the physical stressors we talked about at the start, such as food intolerance, dehydration and lack of sleep, and you can see how your cortisol level may be through the roof. If cortisol is high, blood sugar is high. If blood sugar is chronically high, then insulin must react against that situation. This will result in an increase in fat storage. The reason is that insulin is responsible for moving blood sugar into muscle and fat cells when sugar levels in the blood are too high. However, if our muscle cells' storage is already full (because we've not exercised or been active) it will store this primarily in fat cells. Also, consider the other things cortisol does. 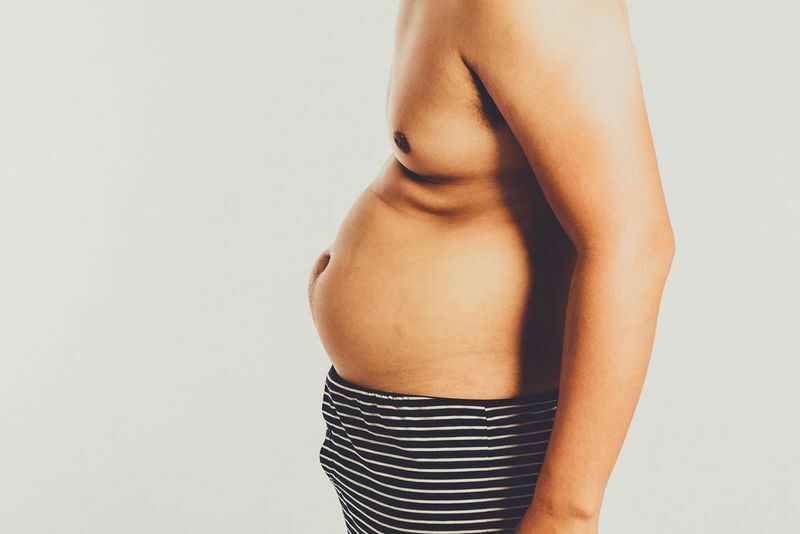 It eats away at muscle, lowering your metabolism, and suppresses essential reproductive hormones that you want on your side, such as testosterone and oestrogen. Finally, couple all of that with a depressed immune system, meaning you are sick more often and recover slower, and you’ve got a recipe for weight gain. Life is stressful. That means those mental stressors are probably here to stay. 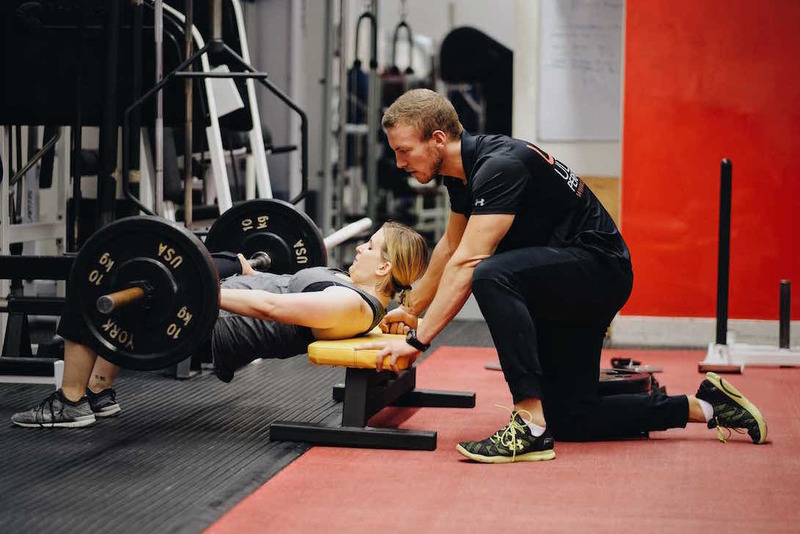 What really combats psychological stress is to train, and train hard. Training (in the right quantities, not hours at a time), has been shown to reduce stress levels significantly. The other things that you have control over are the physical stresses on your body that may be producing chronic cortisol levels. One of the dominant sources of this physical stress can be food sensitivities. There has been a lot of controversy regarding whether the average person should be worried about food intolerances. Can you have a food sensitivity and not have full-blown coeliac disease or lactose intolerance? Let’s just say for now that it’s possible. In fact, it is estimated that three-quarters of the world’s population have a food intolerance or sensitivity. Beyond that, you can work to reduce the other physical stressors such as lack of sleep, poor nutrition, poor hydration and those other major factors discussed above. 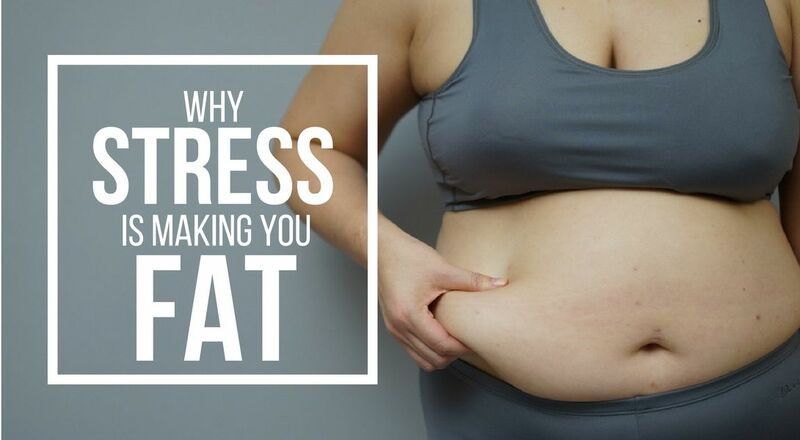 So is stress making you fat? Chronic stress, leading to chronic elevations in cortisol, could well be leading to higher body fat in a large majority of the population. With cortisol elevating blood sugar levels, even without a high sugar diet, you could end up struggling with your weight.